Farm life in rural North Carolina was ideal for fostering a work ethic and a love of the natural world. In his youth, Sam Newsome also had strong family ties seasoned with a continual church influence. He received a degree in American history from the University of North Carolina in Chapel Hill in 1971. His medical degree was endowed from the Bowman Gray School of Medicine (now Wake Forest University Medical School) in 1975. In 1978 he completed his residency became certified in family medicine and in 1992 he became certified in geriatrics. In 1978 he returned with his family to his hometown of King, North Carolina to begin his practice of family medicine and to fill gaps in the medical care. Since then he has staffed the local hospital and health department. He established a Jail health program and continued his care of residents in long- term care. He lives in King, North Carolina with Betty, his wife of forty-five years. One son, Carlton, lives in Raleigh and shares his father’s love of words. His second son, Justin, lives in Winston-Salem and is an engineer at B/E Aerospace. His first novel, Jackie, was published in the fall of 2013. It chronicles the life of a young man with autistic tendencies who was judged uneducable as a child and denied a formal education. As a young adult, with the aid of luck and friends, he is discovered to have a supernatural talent that propels him to a heroic destiny. Jackie received the 2015 Garcia Memorial Prize (sponsored by Reader’s Views) for the best fiction book of the year. 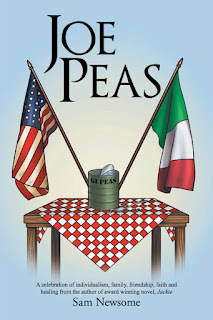 His latest effort, Joe Peas, explores the life of an Italian itinerant house painter that was orphaned in World War II. Joe Peas arrives in the present day small town of King’s Mill, North Carolina and enters the life of family doctor, James King. Dr. King is struggling to maintain his practice in an increasingly hostile world. On a personal level, a community that values conformity over individualism threatens his home life. Joe’s rugged independence and individualism is a counterpoint to Dr. King’s regimented life. Joe suffers an injury that sends him to Doc’s long-term care facility for rehabilitation. There, Joe interacts with staff and residents in a unique way, giving the author the opportunity educate about long-term care. Incidents in the facility occur that threaten to expose Joe’s secret life, and he is forced to leave abruptly. After leaving, he hatches a plan to help Doc with his personal issues. The plan is as outlandish and vibrant as Joe himself. 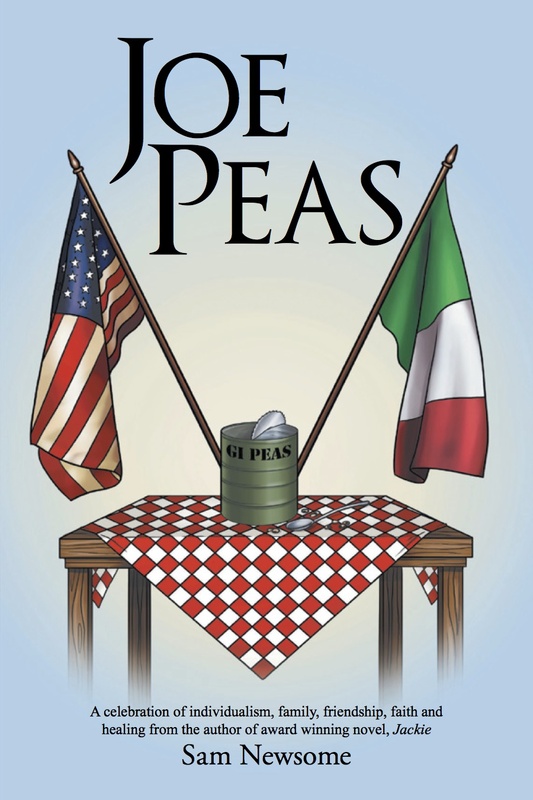 Find out more about JOE PEAS on Amazon. My academic training is in American history and medicine. My medical practice of forty years continues to be busy and fulfilling. Over the years I have shared stories with my patients, who in turn, have told me stories of their lives. These are great stories that are the inspiration for my two novels. The trick is to weave these stories into a narrative that entertains, inspires and educates while preserving the anonymity of the source. Also, some of the stories and ideas I want to record won’t leave or I have a fear they will fade before I get them preserved. Getting them in print relieves the pressure. Finally, just think of the money I’ve saved by not playing golf! The downside is that the time required is demanding. Late nights and all-nighters were something I had given up years ago, but they have returned. The initial draft is best. The rewrite and editing are OK, but the further rewrites, editing, proof approvals do get tedious. They take time I could be writing original works, or, better yet, reading other great books. I’ve self-published. The publishing world has been turned upside down in recent years. The day of the traditional press’ monopoly is past. The traditional route would still be my preference, but I have no contacts into that world. I even had a company help me polish my query letter and synopsis to “get it noticed.” I now have an enormous stack or rejection letters, but no offers. Does this mean that my writing is worthless, or “Doesn’t measure up.” I thought that for a while; till I realized that none of these agents or publishers had asked to even see a part of my manuscript. The only ones that received my synopsis were those that requested it as part of the initial query. Were I younger, or if I didn’t have my time more than fully occupied with medical practice I would pursue writer’s conferences and venues where I could hunt the elusive agent in his natural habitat. Since that’s not currently possible, the self-published route is fine. I’ve used Lulu Publishing Services. They have been up-front with explanations of the charges and the process. Oxciana is our aging calico cat with all the grace and agility of her namesake. Fortunately, she has an independent nature and has learned over our years together to be patient. Should I be too tardy with the grub, she is a capable hunter. I was raised on a farm and continue to live in an area with a rich farming heritage. Preparation, planting and weeding are deeply ingrained in my DNA. Plus my wife keeps them watered. All the above occur. In my case, it’s hospital and nursing home calls at all hours that interrupt. Sometimes after a call, I come back to the keyboard with a new (usually better) perspective. If too many calls come from one source, they may find themselves written into the book. I’m not of a generation that is born holding an iPhone. My thumbs are not as over-developed as most teenagers. I’ve been dragged into the twenty-first century. I’m learning, though reluctantly. Networking is a growing segment of the publishing industry, especially for the self-published. I’m using a publicist. Hopefully we’ll find some more action. Local outlets have taken Jackie and will take Joe Peas, but I have been unable to get into the retail bookstores over and beyond local boutique outlets. This is one area where the traditional route would benefit from having a proven strategy. On the other hand, I’ve heard horror stories of how much legwork was left to the author by even traditional publishers. 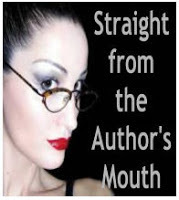 Of course, any discussion in forums such as “Straight from the Author’s Mouth” is welcome. “Hey, I’m here and I’ve got something to say!” I write to entertain, but also to educate and inform. I am able to get on my soapbox and reach everyone who I can get to read a book. In Jackie I teach understanding and potential in even unlikely places. In Joe Peas I celebrate the individual and family, friends and faith as a source of healing. That story also educates several good health habits and explores long-term care. My thought is that if there is no message, there is no reason to write. Both of these stories have a message and should entertain and improve the reader. The exposure to the book is paramount. Nope, sorry, but there are many happy people who neither read nor write. I’m one of those afflicted by the inability to let a good story lie. If someone felt it was worth telling me a story, then it’s worth recording. When I was a child I would go with my father to the corner store on Saturdays. The farmers would be there sitting on drink crates and tell stories. They would spend the afternoon telling great stories of farming and the life and times of rural culture. I well remember the laughs, the respect and the comradery of those afternoons. But I can’t remember even one story. I wish I could.